A market of the spare car parts continues to develop as one of the biggest and most interesting markets in the World. That is why the competition is very tense, and one of the main keys to success in this business became qualitative service. Avto.pto Company decided to make a complete analysis of this market and its services to find out the problems of the industry in the modern Ukraine. So, the careful study of auto business they came to one conclusion: the main problem of the car market today is the absence of tight relations between leading elements in this area. That is why they decided to organize a huge event where professionals in the auto market and related spheres can finally meet with each other. It will take place 16 September. The Forum is created in the unique form with an opportunity to listen the important reports from leaders in the auto industry, cooperate with famous Companies, and communicate with their representatives. All participants of the Forum will hear important information and practical advices from well-known specialists about the future of this business, the best ideas in commerce, logistics, auto services, financial benefits for business, increase of sales, and loyalty of customers. Administration of the Forum decided to pick all the best solutions for auto industry in one simple concept. Every lecture during this event will represent the current situation at the market. It may change the whole point of view, and bring new business ideas. Lecturers will show a lot of new possibilities for every company in this industry. There are a lot of benefits, ideas and innovative solutions that probably are waiting for you right now, but you don’t see them. Avto.pro hopes that member of the Forum will be able to increase their profit by the association with each other, and combining their powers to expand base of customers, using channels of sales more efficiently. Privat Bank is one of the main biggest banks in Ukraine, with the huge variety of its services. This bank can provide all the tools for starting electronic commerce. It will help with the financial transactions from different customers and sales across the World and in Ukraine, particularly. Your electronic signature, why do you need it. Nova Poshta is the huge logistic Company with the new innovative ideas. This Company helps to simplify the logistic services and makes every delivery faster, and qualitatively. An Audatex Corporation is the global software developer of the calculation apps for the vehicles repairs cost. They will represent report together with an insurance company. From their common statement, you will be able to learn about positive changes in auto centers, ways to get new customers from insurance firms, benefits from customers’ loyalty, sales increase, and so on. NAPA is the Ukrainian public association of independent auto stations. Its mission officially is described as: To help the development of the new independent business of auto market in Ukraine. Grishchenko Vitaly, the President of NAPA will represent this company during the Forum. At the roundtable, he will tell about the best methods of dealing with the new technologies. He promised to give some clues about the way to make your business more profitable. LTD The Black Sea Law Company is the part of a law firm in Odessa that during many years supports local business. They will answer all the questions from the participant of Forum, and talk about your legal rights and the way to protect your business. 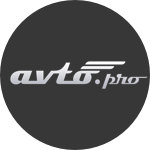 Avto.pro is the head of the Forum. They created this event to speak more about e-commerce, and its role in business. Representatives of Avto.pro will take part in all roundtable meetings and will answer questions. At the end, they will lead the discussion about the possibility of cooperation among all the members of the Forum, and an auto industry as well. “Regarding Max, on the long straight, I don’t think Kimi was side by side”. In the wake of the meeting, Verstappen and Red Bull Racing team manager Jonathan Wheatley met with Whiting, to clarify exactly what won’t be acceptable in the future. Both the Maranello team’s drivers wished to have a chat with the youngest driver on the grid during the ongoing race weekend at Monza, while Verstappen refused to bow down to the pressure. And Horner himself admits Verstappen was “right on the limit” when cutting across in front of Raikkonen on the Kemmel Straight, causing the Ferrari driver to brake. Verstappen’s aggressive driving at the Belgian Grand Prix was a major topic of discussion at the Thursday media day at Monza, with Ricciardo and several of his peers clearly frustrated by the repeated questions on the subject. Notably, Verstappen, Raikkonen and his Ferrari teammate Sebastian Vettel collided at the first corner of the race. When asked after Italian GP qualifying on Saturday about his comments, Verstappen wanted to clarify what he said. “And I don’t have a problem with the driving of Max as he’s done nothing wrong to me”. “I think Charlie was keen to show him a replay of Spa”, Red Bull boss Christian Horner told Sky Sports. In other news, BBC reported that co-competitors Kimi Raikkonen and Sebastian Vettel were quite angered about Max Verstappen’s racing. It’s not because other drivers tell me that I have to change my driving style that I’ll change my driving style. But Verstappen remains unrepentant and says he has no reason to change his approach until the stewards penalise him. “It would be much better if you leave us to deal with it, and it would also enhance the amount of respect among drivers just to talk about it and, if you’re angry, sometimes also get out of the vehicle and hit the other guy”, Vettel said with a laugh as he got less serious. By winning in Belgium, Rosberg moved within nine points of Hamilton at the top of the standings. “He has won a Grand Prix title”. While Hamilton had to start from the back row in Spa as a result of too many engine-part changes this season, he should be free of penalties in Monza. “Standing on that wonderful podium, looking out over a sea of fans on the straight, has to be up there as of the most incredible experiences a sportsman can have”. German carmaker BMW has recalled 110,000 cars in Japan over potentially faulty airbags produced by Takata, amid the biggest ever vehicle recall in the history of the automobile industry. The recall includes Honda’s hugely popular Fit subcompact hatchback, as well as its Accord and Civic sedan models. Honda, Japan’s second-largest automaker, said the recall would span 16 models that were produced between January 2009 and December 2011. Approximately 100 million cars, including 34 million in the U.S., have been recalled so far in the largest ever operation of this kind in the industry, with Mazda, FIAT and Ford among the auto manufacturers involved. According to Automotive News, the latest recall brings the total Honda vehicles affected worldwide to around 51 million, around half of the circa-100 million units recalled over the Takata airbag inflator scandal – the biggest ever recall in automotive history. The recall on Friday comes after an expanded recall by United States authorities. As one of the largest consumer of Takata, Honda has said it would stop using Takata-made inflators which caused these incidents. In May this year, Japan’s transport ministry ordered various automakers to recall an additional seven million vehicles in Japan over the air bags. The faulty air bag inflators use ammonium nitrate as a propellant to inflate the bag, but the propellant can become destabilized after exposure to moisture or heat due to the lack of a drying agent and explode, spraying the cars’ cabins with lethal shards of metal. These air bags are linked to the majority of deaths and injuries from the ruptures. Hamilton was forced to start the race from 21st on the grid after a series of engine changes throughout the weekend saw him incur a 60-place grid penalty. Rosberg insisted that he didn’t know that Hamilton was up to fifth by the red flag period, despite having got out of his auto and walked back down the pitlane during the break. The intention was to keep Hamilton’s engine in good shape for the rest of the season. In addition to Hamilton, Fernando Alonso, Esteban Gutierrez and Marcus Ericsson have also been handed grid penalties. All Offers and Promotions posted in this article excludes NSW residents. Hamilton, who did only one slow run in the first part of qualifying to ensure he made it into the race without trouble, said: “It’s definitely the weirdest qualifying session or weekend I’ve had so far”. World champion Hamilton benefited from a chaotic start and a safety auto period caused by a heavy crash by Renault’s Kevin Magnussen, who was taken to hospital with an ankle injury, to rescue an unlikely podium place. “I’m just very happy, a flawless weekend for me”. The Belgian Formula One Grand Prix will be held on Sunday. “I really can’t believe we came so far up to be honest”. Hamilton said: “A big thank you to this crowd, they have been incredible and a big thank you to everyone for supporting me”. German Nico Hulkenberg finished fourth ahead of his Force India team-mate Sergio Perez, as the Silverstone-based team overhauled rivals Williams in the constructors’ championship. “The penalties for Lewis made things easier for me today – but he will be back in the battle for the win again next weekend, which will be exciting”. “To be so close to Nico on a track with long straights, we can be very pleased with that”. ‘I have changed three engines so we are ahead of the others and that is great. “What looked to be a disadvantage turned out to be much less detrimental to (Hamilton’s) campaign and he added his bit with a great drive”. Max Verstappen’s hopes of a strong race after securing a front row start on Saturday was ended when he was involved in a collision with the Ferrari duo of Sebastian Vettel and Kimi Raikkonen and subsequently finished down in 11th. “I’d have had an even better summer if I went into the summer knowing I’d come out nine points ahead still after three new engines”. Denver police traffic investigations Sgt. Mike Farr said the driver didn’t say anything or appear to be in distress before the bus carrying Legacy High School football players and three coaches crashed into a concrete support pillar at about 4 p.m. Sunday. During a press conference at the Denver International Airport, Sgt. Mike Farr stated that he fails to understand why the school bus driver chose to circle back around to the pickup area when she shouldn’t have. The bus was one of three that had picked up a high school football team at the airport, police said. The collision seriously injured three coaches and sent 15 students to area hospitals with injuries that officials said were not life-threatening. Denver Health Medical Center said it had five patients from the accident, two in critical condition, two in serious condition and one in fair condition. Uninjured students gathered with parents Sunday evening inside the airport, the Post reported. Police haven’t released information on the cause of the crash. The varsity and junior varsity teams were returning from a trip to Chino Hills, Calif., where they played games last week. The school, located about 19 miles north of Denver, is part of the Adams 12 Five Star Schools district. The driver reportedly remained in the wrecked bus until a tow truck was able to move the bus back from the pillar. Police Sergeant Mike Farr said the driver crashed into a pillar in the vehicle park, but the reason for the crash is not known. “I know a lot of them are scarred”, Levasseur said. Denver police say the driver of a school bus that crashed at Denver International Airport died at the scene. In this image made from video provided by KMGH/THEDENVERCHANNEL.COM, a school bus sits after crashing into a concrete pillar in Denver, Sunday, Sept. 11, 2016. Adams 12 tweeted Sunday they will have crisis response team at the school and at the hospital. “Alexis was a brilliant artist and painter, a singer, an entertainer and an actor”, her brothers and sisters said. Police are interviewing the surviving victims to determine how the school bus crash took place and how fast the driver may have been going. Following the successful start, the British carmaker has now chose to shift the production of the Jaguar XE to its Castle Bromwich plant and for that the company has invested GBP 100 million (almost ₹ 890 Crore). The entry of the latest Jaguars – the Jaguar XE and Jaguar F-Pace – saw Solihull get to be home to Jaguar’s new 3-Series opponent and Jaguar’s first invasion into SUVs with the F-Pace. Jaguar is also now building major industrial space on the site of the former Dunlop Motorsport factory, next to the plant in Castle Bromwich, which will be used for receiving, storing and transporting components around the site. The Jaguar XE was the first model developed using Jaguar’s advanced, Lightweight Aluminium Architecture and is the most fuel-efficient of the firm’s cars. Jaguar Land Rover’s executive director of manufacturing Wolfgang Stadler describes the “significant investment to create two centres of excellence in aluminium vehicle manufacturing, utilising shared technologies”, as deliberate. Nicolas Guibert, Castle Bromwich operations director, added: “2016 is a pivotal year for Castle Bromwich”. The arrival of the XE sees us increase our model lines and volume. The carmaker launched two new Jaguar products this year – the XE sedan and its first ever SUV – the F-Pace, both of which have been garnering some huge demand from customers in worldwide markets. In 2008 the Jaguar plant at Castle Bromwich in Birmingham was under threat of closure – now it is to welcome a fourth model to its production lines as the XE saloon moves to the plant. According to Autocar, the new compact all-electric SUV is due to be revealed before the end of this year and will be called the E-Pace, though Jaguar has yet to confirm the name. 3000 people are now employed at the 112-acres site. Sporting looks similar to the F-Pace, the new E-Pace will, however, have a few unique features which include a ‘slightly lower roofline and even more dynamic styling.’ The new E-Pace will also be slightly smaller than the F-Pace.